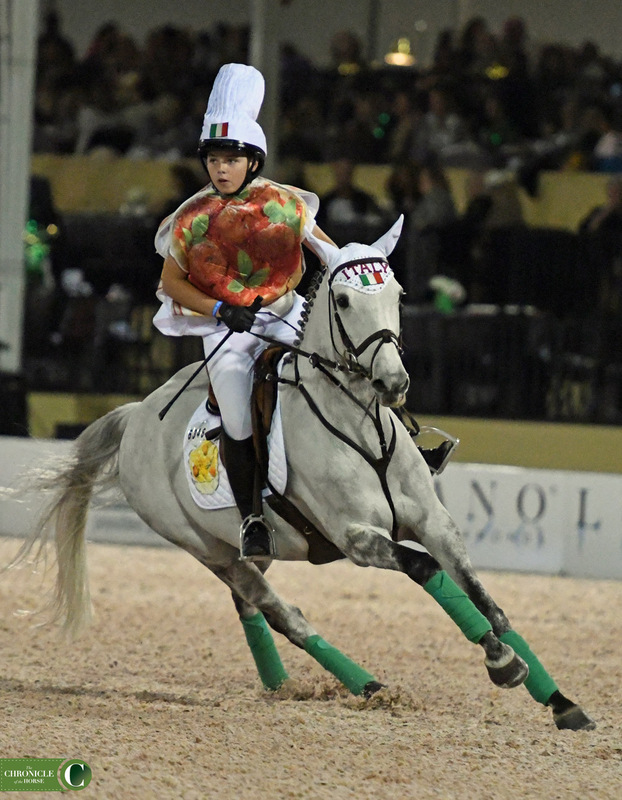 Hilarious costumes, galloping relay races, and over a million dollars donated toward good causes? 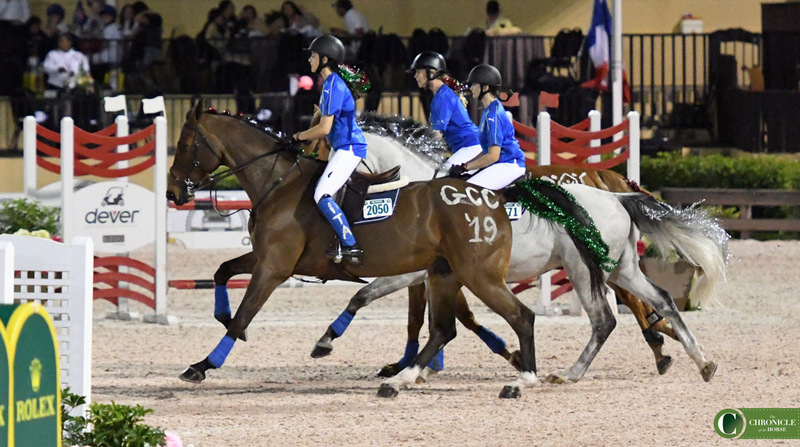 It’s no wonder The Great Charity Challenge is many spectators’ favorite Saturday night class at the Winter Equestrian Festival. The evening’s theme was “We Are The World” with riders dressing themselves and their horses up to pay homage to countries like Switzerland, Ireland, India and of course the good old U.S.A. Each team represents a different charity and consists of three riders who enter the ring at the same time and complete the course like a relay race. 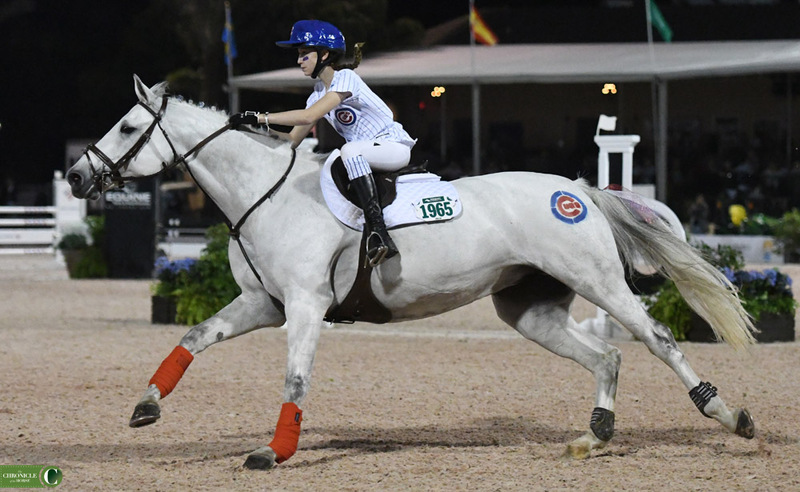 The fastest team earns their charity the biggest cut of the $1.3 million up for grabs, but there are no losers tonight—every team that competes earns a check for their cause. Check out some of our favorite shots from the night! 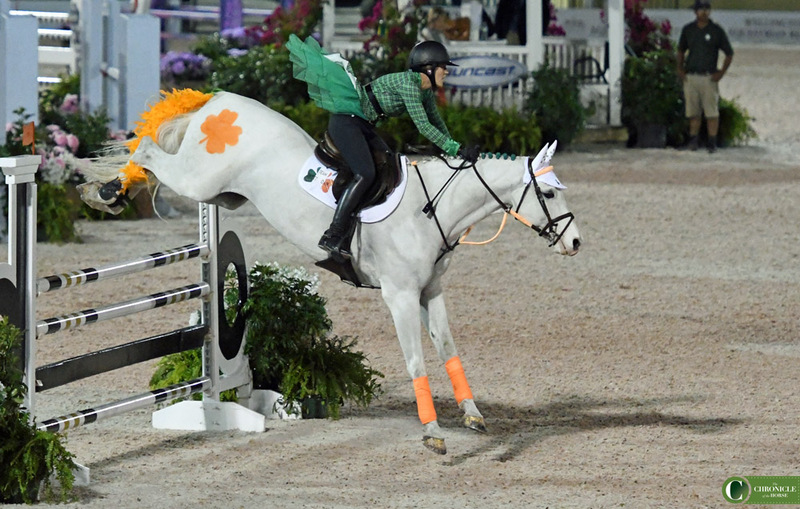 Check out a few of our favorite shots from the night! A moose in a hockey jersey? 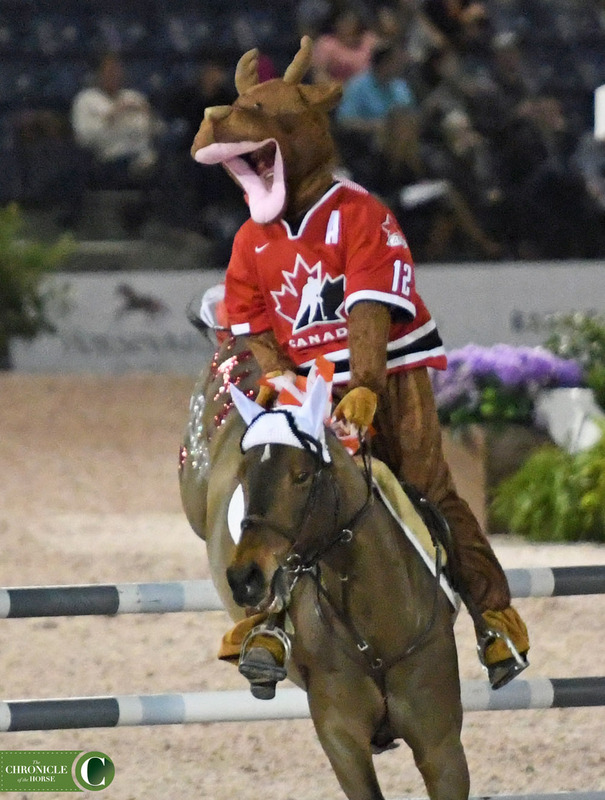 Daniel Coyle and Madison are as Canadian as you can be with this ensemble! 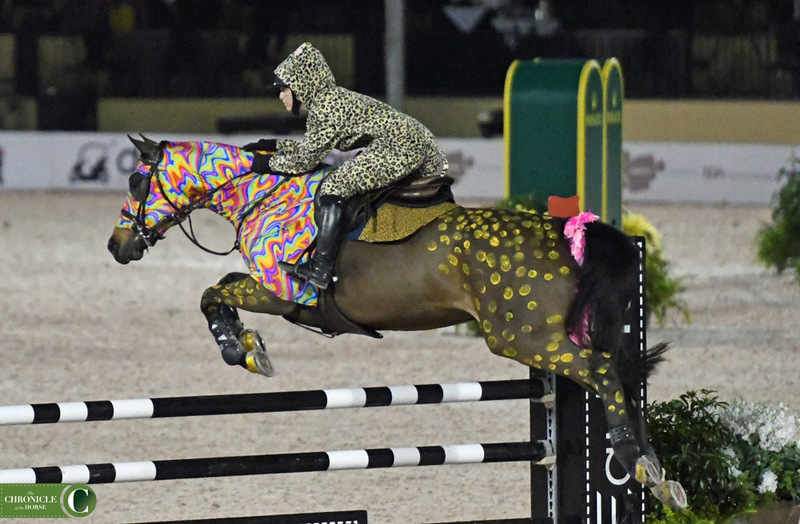 Corinne Sweeney and Cerubin hoping the speed of the cheetah helps their team fly to victory. Not all heroes wear capes. Some wear pizza. Ansgar Holtgers Jr and No Regrets VIII. 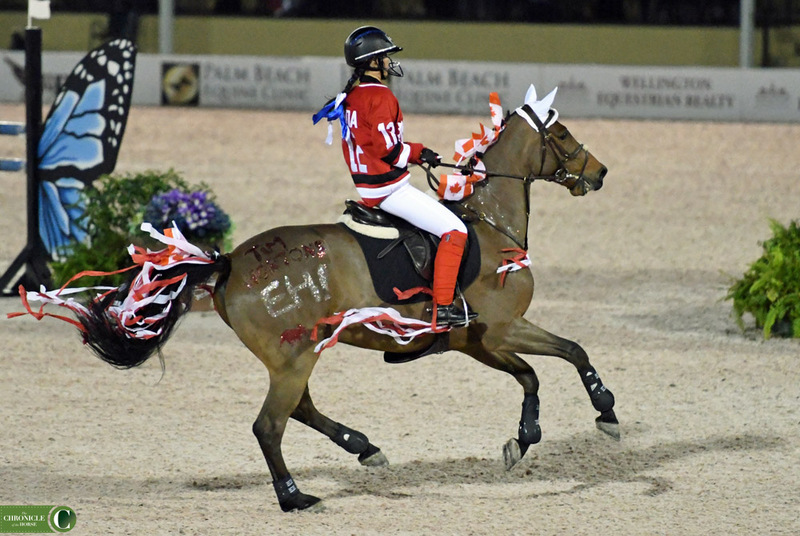 Streamers and flags flying as Mackenzie Wray and Catch Me gallop by decked out in maple leaves. 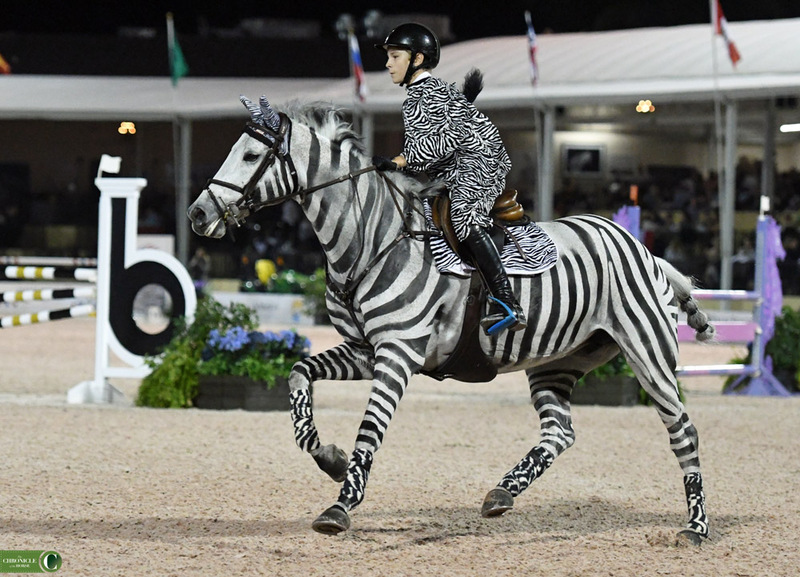 Daniel Kerins and Zindora VD Kapel as a pair of zebras galloping to their next fence. 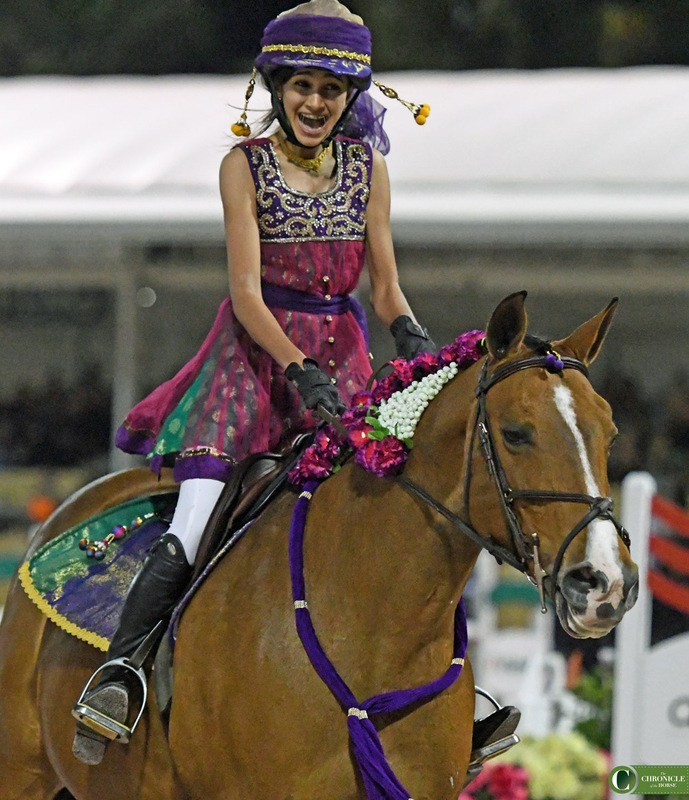 Zayna Rizvi was all smiles after competing on a team with her sisters Farah and Yasmin. 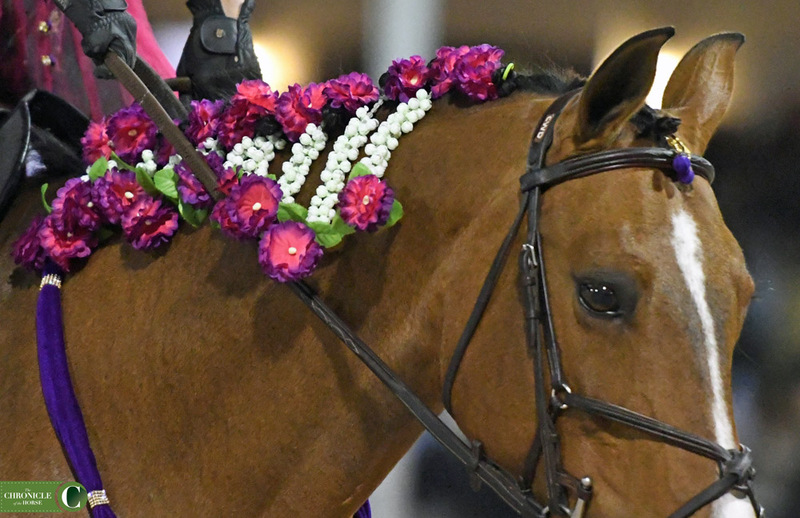 Check out these awesome flowers in Forget Me Knot’s braids for Zayna’s India-inspired look. Whats more American than baseball? Olivia Markman and Zanta Fee Van T Hofterrijckel dressed as a couple of Cubs players. 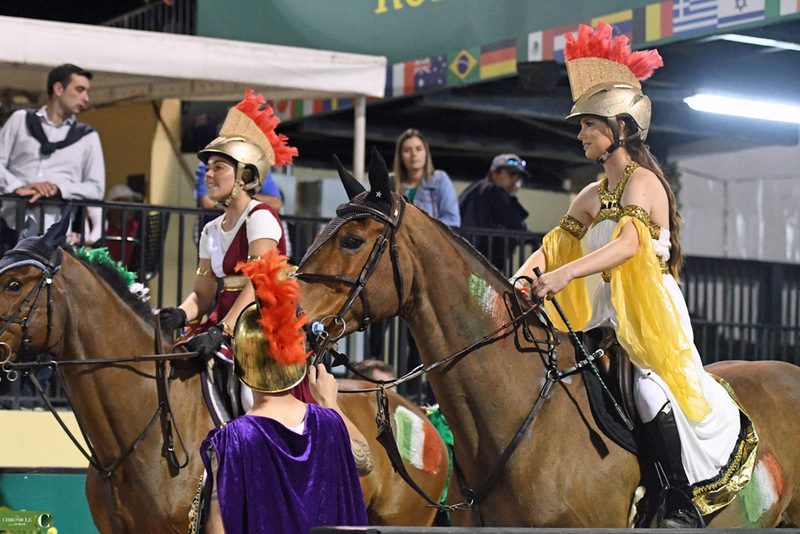 Rolling into the ring like #squadgoals. 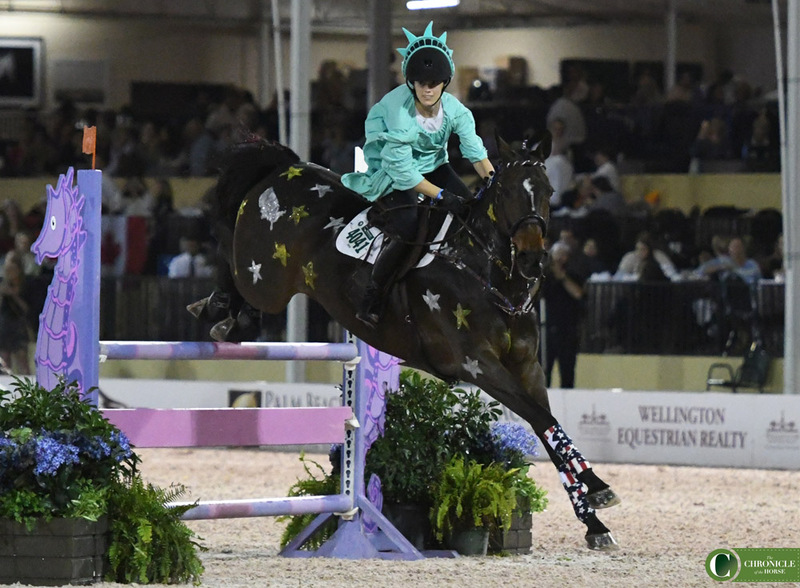 The Team representing Habitat Housing Solutions was comprised of riders Kama Godek, Isabel Adolph and Maya Aryal. Lady Liberty aka Maddi-Lynn Alvarez and Velvet B turning and burning. Gotta love this eagle ensemble! Amanda Cordingley and Seattle 6. 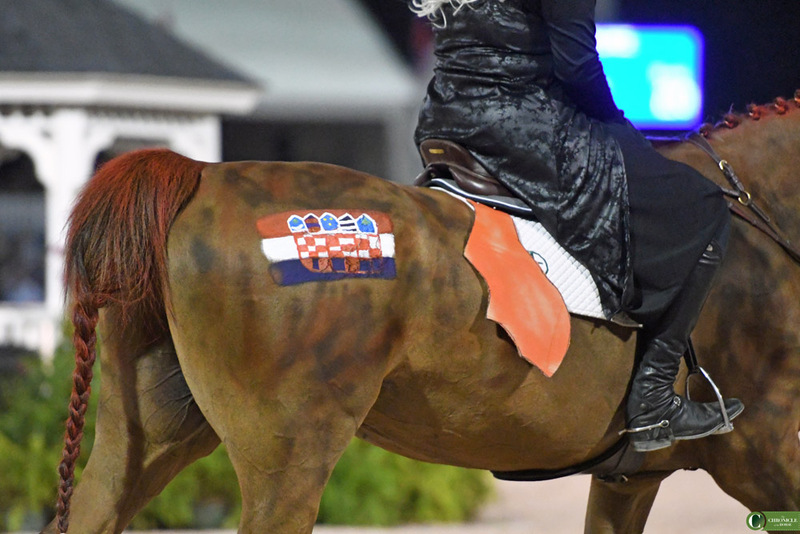 Ok major artistic points to whoever painted this Croatian flag on Anna Koenig’s horse, Korino Von Bueren, because that is on POINT. 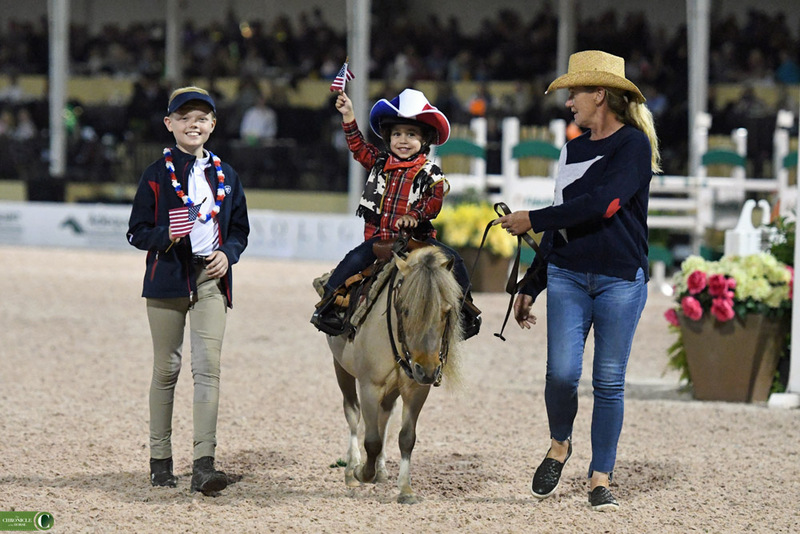 Some of the teams had additional mascots come in the ring with them like this awesome trio for team Boca West Children’s Foundation. Gladiators from team Children’s Home Society getting ready to rock at the in-gate! 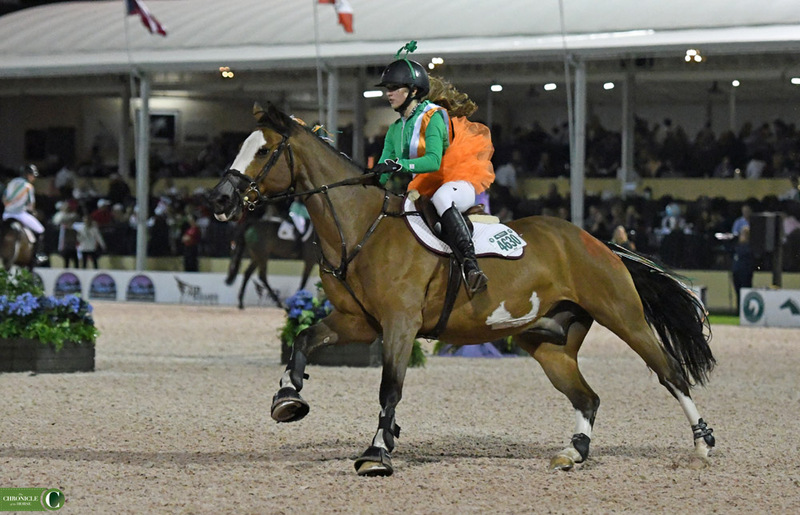 Chloe White all decked out in green and orange flying around the course for team Spirit Of Giving. 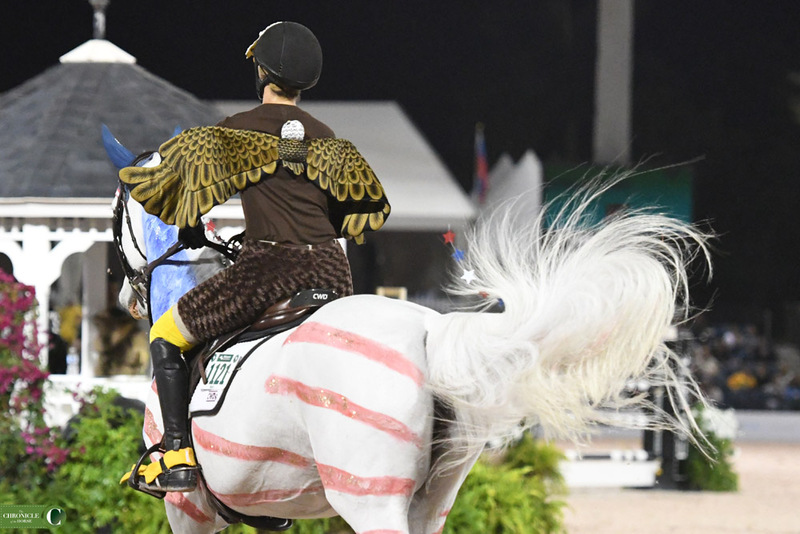 Don’t miss any of our coverage of the 2019 Winter Equestrian Festival.